Clarion Hotel Stavanger is located in the city centre, within walking distance of shops, restaurants, museums and everything else Stavanger has to offer. The hotel has 249 rooms, a large conference section and a personal, courteous atmosphere full of modern art and design. Among these, we feature contemporary artist Kjell Pahr Iversen. In the hotel restaurant, Kitchen & Table, we invite you to a delicious dinner with the exciting flavours of Manhattan – and Stavanger. End your evening with a tasty drink in the bar. The Clarion Hotel Stavanger is cash-free, which ensures added security for our guests and visitors. More information about this can be found under FAQs. 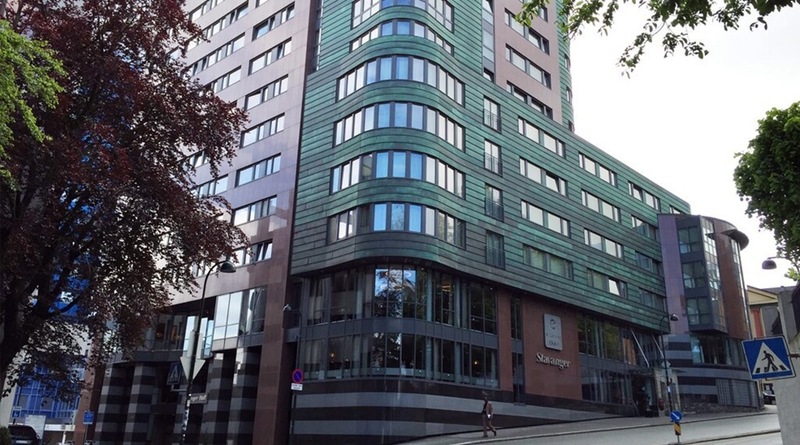 We wish you a warm welcome to Clarion Hotel Stavanger – the vibrant meeting point in Stavanger! Let them know in advance and the Airport bus will stop outside the hotel.